Kevin Emerson’s Exile trilogy combines the swoon-worthy romance of a Susane Colasanti novel with the rock ’n’ roll of Eleanor & Park. Packed with mystery and music, Kevin Emerson’s final volume in the Exile series is the pitch-perfect ending to Summer’s journey of self-discovery and love and an ode to music fans everywhere. Catherine Summer Carlson has hit rock bottom. Her band, Dangerheart, is falling apart, and finding the last of the lost songs now seems impossible. Can the band pull together to outwit Candy Shell Records, stay one step ahead of the police, and find a way to get to London to unlock the Eli White mystery before it’s too late? Summer knows that escaping to London would be the riskiest thing she’s ever done, but she also knows that this might be her and Dangerheart’s last chance of becoming the band they’ve always dreamed of being—and her last shot at figuring out what her heart really wants. 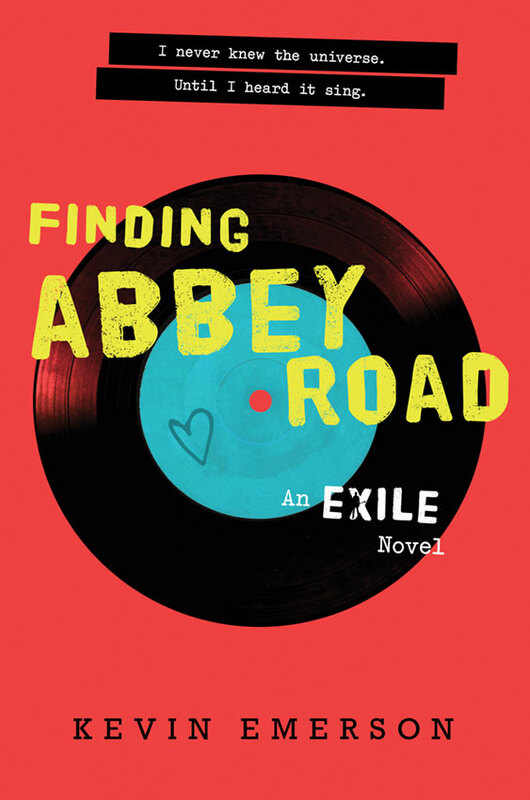 Finding Abbey Road by Kevin Emerson is the final book of the Exile series. Straight up, this series is kind of awesome if you like contemporary books where music and bands and secrets play a strong role. I listened to the first two books via audiobook. They are superbly narrated by Emma Galvin. However, the last book Finding Abbey Road does not have an audiobook version which is quite a tragedy. I mean, the first books are REALLY really great via audio. So, because I was invested in this series, I actually sat down and finished via the physical version of the book. There will be spoilers for the first two books here on out — so you might want to scroll down and read the other two reviews on this post instead. Finding Abbey Road has a plot premise that is as follows: Summer is now grounded after she ran away to New York with Dangerheart instead of going to her Stanford interview. However, she discovers that Caleb’s dad is alive. It is then discovered that he is living in London. And so, Summer tries to travel to London along with Caleb and his sister Valerie in order to finally connect with Eli, Caleb and Val’s dad. There’s clues. There’s romance. There’s big questions about Summer’s life after high school. In all, I found Finding Abbey Road by Kevin Emerson to be a satisfying conclusion to the Exile series. I would have been much more satisfied with a final audiobook, but as the song goes “you can’t always get what you want.” I think that Emerson does a wonderful job tying up loose threads and giving the characters decent endings. I liked how Summer’s story resolves and how she ends up exactly where she should be. I was less invested in Caleb, but his ending is pretty good too. This book is quickly paced. Plus the change of venue to England adds an extra sort of flair to the story. In all, I would recommend this trilogy without hesitation to music loving readers – especially people who want something good to read after finishing Audrey, Wait! A Study In Charlotte by Brittany Cavallaro is an audiobook that I will highly recommend you listen to. I borrowed it via Overdrive at my library and am kind of glad I made that life choice. As with many people, I can’t resist a good Sherlock Holmes re-telling or a good spin on the classic detective stories. So, I am quite glad that I made the decision to listen to this book as it made my commute quite thrilling. 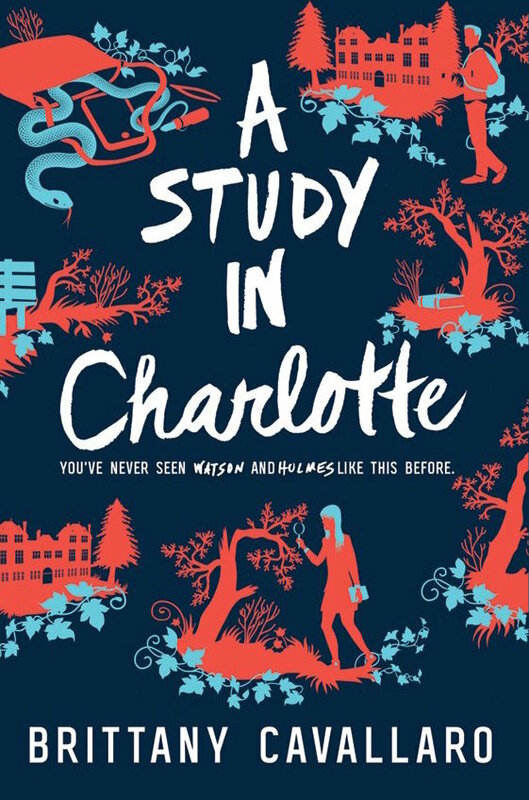 A Study In Charlotte features Charlotte Holmes and is narrated mostly by Jamie Watson. Both are descended from the famed characters. Charlotte is much like her ancestor, Sherlock. Jamie is also much like Watson. Both students are attending a boarding school. There, a douchebag character dies mysteriously. And so, Charlotte actually is under suspicion due to some bad dealings with the character. However, Charlotte is innocent and so, with the help of Jamie the two work diligently to solve the murder with a few curveballs along the way. There’s also quite a few tip of the hats to Arthur Conan Doyle’s original works. I think if you’re a fan of the originals or the various versions of the stories you’ll find yourself happy to feel part of being in the know. Especially when these hat tips occur. I have only read a few of the Sherlock stories and watched a few episodes of the BBC mini series. So, every time I picked up a reference, I felt kind of awesome. A Study In Charlotte is quite clever, and I also love that this descendent of Holmes is a girl. The audiobook of A Study In Charlotte is mostly narrated by Graham Halstead who essentially is Jamie narrating. There is one very, very short section that is narrated by Julia Whelan from Charlotte’s point of view. The audiobook runs quickly. It’s 8 hours and 41 minutes long. Of course, I always tend to listen to audiobooks sped up. So in this case, it took me about two days or so to finish this audiobook. I think this is a good story either way that you decide to consume, but I have a soft spot for the audiobook. 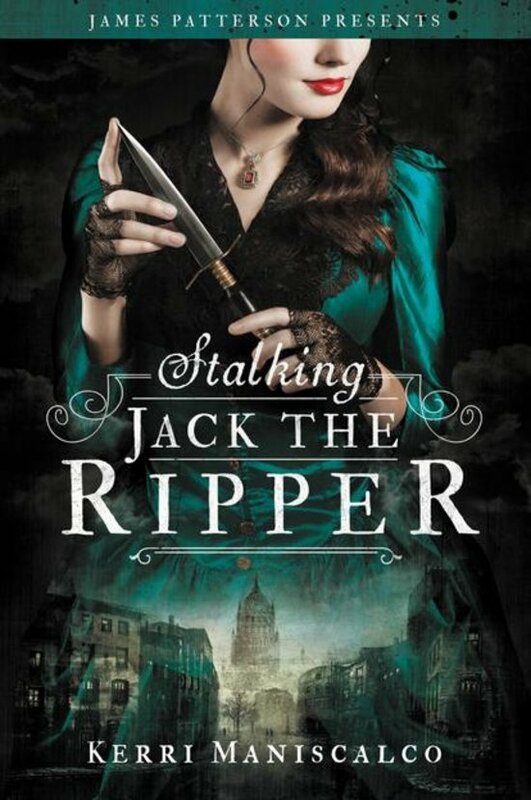 I feel like I did not hear much about Stalking Jack The Ripper, a debut young adult novel by Kerri Maniscalco until suddenly it was ALL OVER my Twitter feed. Of course, I give into hype when I encounter it rather easily. So, I added this one to my Top 10 Books On My Fall TBR for 2016. I got to it sooner rather than later (thanks HYPE) and really enjoyed the time I spent reading it. So, Stalking Jack The Ripper is obviously set in the time frame that Jack The Ripper was out conducting his murders. It is about this girl named Audrey Rose Wadsworth. Audrey is basically upper class. She is incredibly smart and uses her brains a lot. She’s got some academic aspirations as they relate toward anatomy and autopsies. She’s taking lessons from her uncle who teaches using cadavers. He has a basement workshop too. So, eventually Audrey goes to class dressed as a boy and meets this guy named Thomas who figures out she is a girl. The two become much closer as they work hard to figure out who is behind the Ripper murders. Stalking Jack The Ripper absolutely exceeded my expectations. It’s engaging and well plotted. The characters also have depth to them. Audrey Rose isn’t flat. She’s not a caricature. In fact, she enjoys both academic pursuits and fashion. I love that these two interests are not mutually exclusive. Then there’s the romance. It is very, very slow burn. However, you do find yourself rooting for Audrey Rose and Thomas to get together. From what I understand, this book is the first of a series. Do not let this deter you though. I felt like this book stands alone very well. I was completely satisfied with the ending. I could be open to a series, but if it doesn’t manifest, I won’t feel as though I was left dangling. Hey, thanks for the link! 🙂 Great reviews…I keep meaning to get to A Study in Charlotte. One of these days! Totally agree about Stalking Jack the Ripper. LOVED the Audrey was girly AND wanted to be a coroner. I loved that the romance didn’t overtake the events that were going on. I didn’t love Thomas at first, but he grew on me. Great review(s)! !